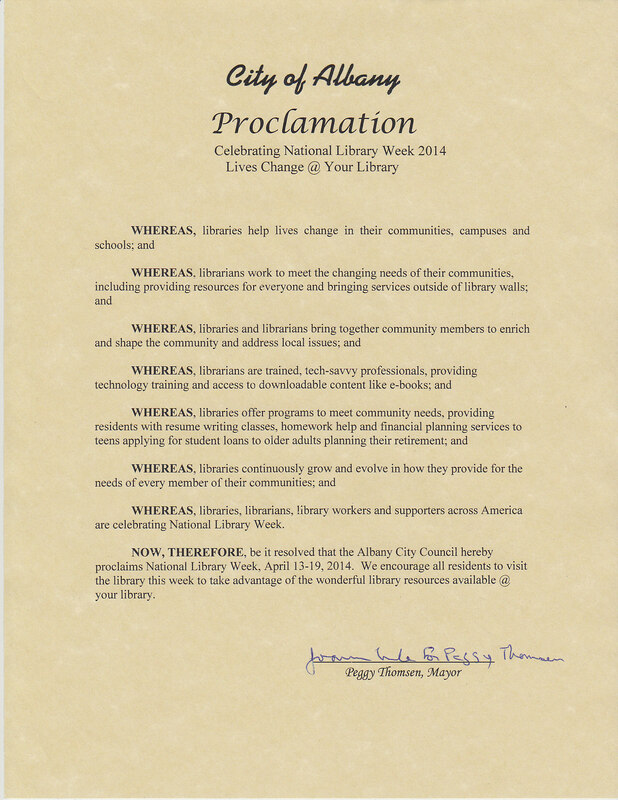 On April 7, Albany City Council member, Marge Atkinson, presented a proclamation recognizing National Library Week at Albany Library. 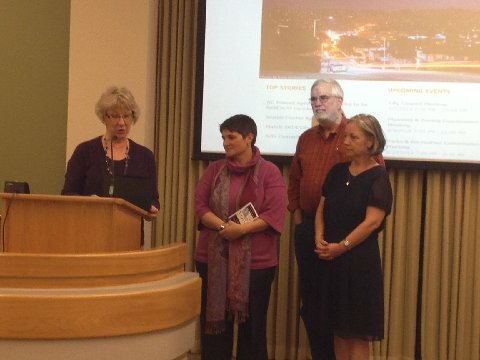 Library manager, Deb Sica, received the proclamation with Library Board members, Alan Riffer and Karen McKeown. Come by the library and dig up a little local treasure from the shelves. Talk with staff. Attend a program. 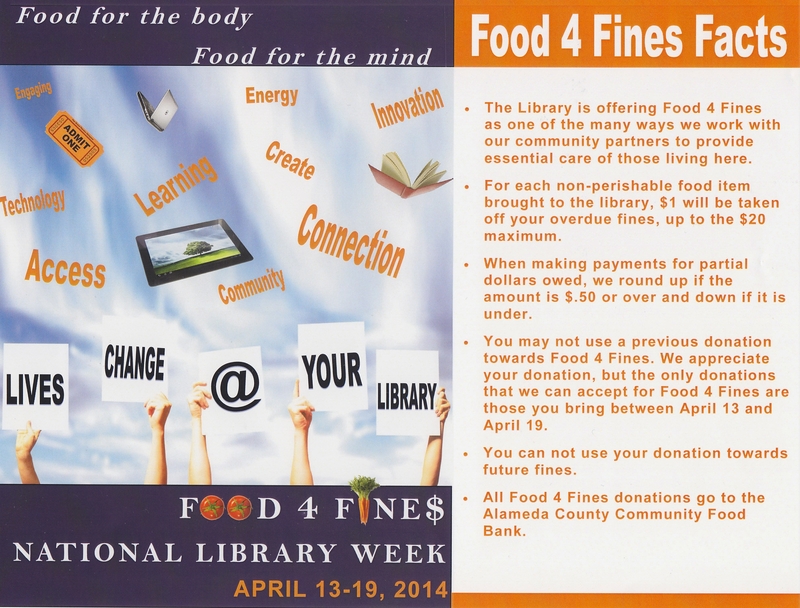 If you happen to have overdue fines, the county library is sponsoring Food for Fines Week from April 13 to April 19. See flyer below.